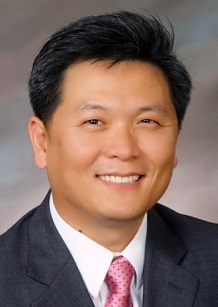 Il Jun Chon, M.D., vice president of medical affairs, WellSpan Ephrata Community Hospital. Chon, of Ephrata, previously served as medical director of WellSpan Ephrata Community Hospital Hospitalist Services and president of the hospital’s medical staff. A hospitalist, he also was a member of WellSpan Internal Medicine. Chon is a graduate of Tulane University and earned his medical degree from the Medical College of Pennsylvania. He completed his internship and residency in internal medicine at Thomas Jefferson University Hospital. Outside of the hospital, he is a vocalist who sings at weddings and events, as well as at local churches. He and his wife, Joyce, are the parents of three daughters. WellSpan Health is an integrated health system that serves the communities of central Pennsylvania and northern Maryland. The organization is comprised of more than 1,500 employed physicians and advanced practice clinicians, a regional behavioral health organization, a home care organization, eight respected hospitals, more than 19,000 employees, and more than 170 patient care locations. WellSpan is a charitable, mission-driven organization, committed to exceptional care for all, lifelong wellness and healthy communities.